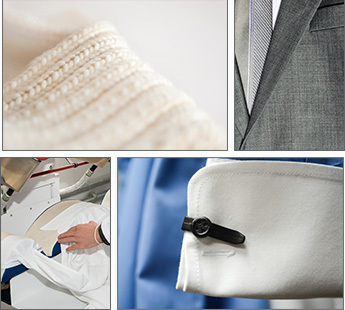 Priding ourselves on our unique service, we use the most up-to-date machinery and technical developments in fabric care, providing special attention during every stage of the process. With our expertise in handling the most delicate fabrics, you can be assured that your garments are in safe hands. From everyday business wear to handmade evening dresses, we have the expertise to care for all types of clothing, no matter how simplistic or elaborate. Allow 2-3 days for delivery. Next day service is available upon request. Please email us for additional details. Our fine shirt service includes replacing missing or cracked buttons. Shirts can be returned on hangers or beautifully folded. Fine table linens, napkins, sheets and pillowcases cleaned, pressed and packed with excellent care. All articles are cleaned, dried, folded and packed by hand with special attention to delicate items. Same day service is available upon request if brought in by 11:00 am. Please indicate any special instructions (i.e. bleach, softener, etc.) Special requests regarding sweaters, and/or delicate items that required hand-washing, air-drying, spotting and/or soaking will take additional time and will be priced accordingly. 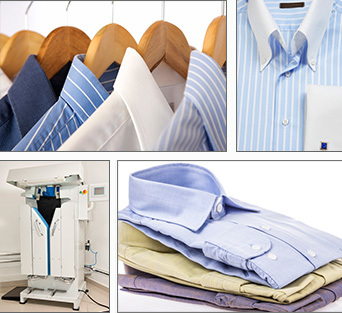 Prolong the life of your clothes by taking advantage of our excellent repair service. Our tailors offer a wide range of repairs and alterations, including the best reweaving (invisible mending) service available. We clean rugs, curtains, pillows, upholstery and cushion covers. Suede, leather & fur care is a highly specialized technique with garments often made of several different skins. We clean suede, leather and fur, and can repair tears to the skin. Allow 1-2 weeks. Prices will be quoted on any alterations or repairs before work is performed. A Customer Awareness Release Form must be signed and submitted to us before cleaning can begin. We provide storage for your Suede, Leather and Furs. Please call us at (617) 523-9601 or email us for information. We provide storage for your summer and winter clothes during their off-season. Please call us at (617) 523-9601 or email us for information.